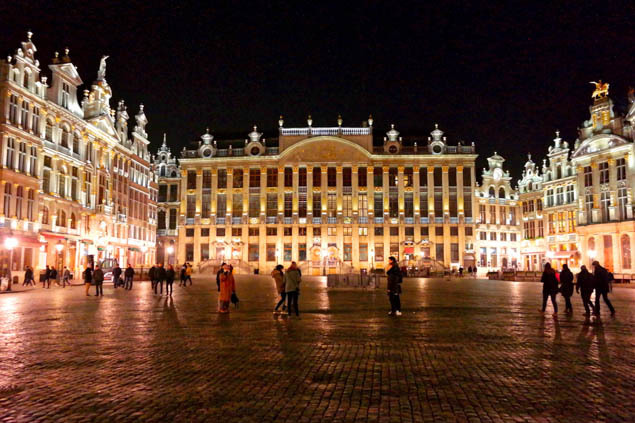 The European country of Belgium is highly regarded for its cultural, historical and gastronomic riches. Most people think of Belgium for waffles and fries, but it’s also a culinary epicenter for high-quality chocolate, historic craft beer and award-winning cheeses. Brussels is home to many important breweries and beer bars, but one of the most notable ones is the Cantillon Brewery that dates back to 1900. This small, family-owned brewery co-existed with over 100 other local breweries when it first opened, but it’s the only one that remained in operation at the turn of the century. Cantillon specializes in Lambic beers, which is a style of beer only brewed in the Pajottenland region, just southwest of Brussels, and at Cantillon itself. These are small production beers that utilizes native wild yeast strains in an open-air fermentation processes. Lambics are very distinctive, with their sour taste, and are the only beers brewed in this method. There are beer bars in Brussels, like Moeder Lambic, that specialize in these and other sour-style beers. You can also tour Cantillon’s brewery and try a beer there certain days of the week. And, they hold several special events throughout the year. If you’re lucky enough to be in Brussels during one of these, they are quite educational and draw beer enthusiasts from around the globe. Brussels is also a great place to do some serious chocolate shopping, but my personal recommendation is to visit the fairytale city of Bruges instead. Here you’ll not only wander quaint canals, you’ll visit some beautiful mom and pop chocolatiers where everything is still handmade. Skip the big factory options like Godiva, and head straight to Dumon. Not only are they are recommended by nearly everyone, including travel expert Rick Steves, but the family is one of the nicest in town, and have been producing top-notch handmade chocolates for many years. The original location is tiny and just north of the Markt Square, and it’s worth a visit. Nathalie Dumon runs the location and you feel like family the minute you walk through the door. Chimay’s cheese is produced under very strict conditions, using only specified milk from a local dairy to preserve the cheese’s authentic character. A la Chimay Rouge is “washed” with Chimay Rouge Trappist Beer, while the Old Chimay is pressed and uncooked, aging for at least six months in the cellars, giving it a unique flavor. Orval cheese follows centuries old traditions and is produced exclusively for the Orval Abbey. It’s made from pasteurized whole milk sourced only from local dairies in the Gaume region. Trying the local Trappist beers with their other food products, like the cheese, is best done at the monastery’s specially designated cafes. Almost all the Abbeys are off limits to visitors, but you can tour Orval and see the exterior of several others, making them a worthwhile stop. Remember that your RoamRight travel insurance policy does not cover losses that result from drinking and driving. Be responsible and always have a designated driver.